I have now become aware that MAC occasionally launches limited-edition collection like this for special occasion. 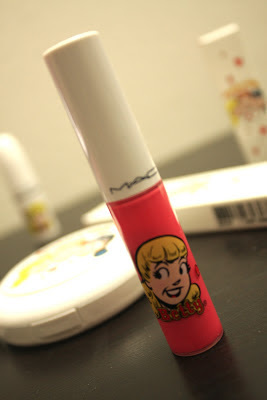 I was reeeaaaallly excited when I found out that MAC lauched its Archie collection for Valentine's day. I was so excited that I rushed to the mall after work on the store launching day on February 8th. I tried to order them online but some of the stuff I wanted was already sold out. How crazy is that?! I was a big fan of Archie's comics. I used to buy the them every time I was in a bookstore with my mom. She was actually the one who introduced me with the comic. Although I am tempted to buy every single thing in the collection, I'm still able to control myself and bought only the things I know I want and can use. Not all colors are wearable for me. I know some people would buy them just for the sake of their collection, but I try to avoid building makeup collection of the things I'm not gonna use. Especially when it's a bit pricy like these. 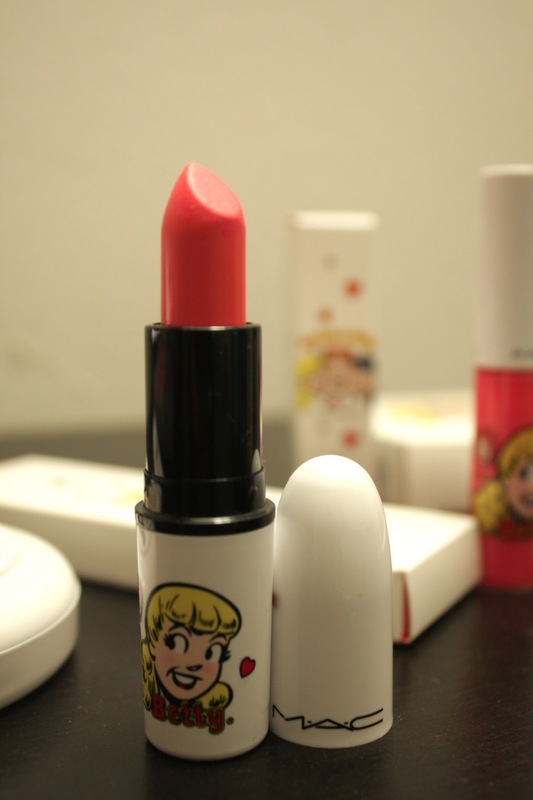 Betty Oh, Oh, Oh lipstick and Veronica Mall Madness Lipglass. They'll be 'home' on Wednesday. I'll update the blog once they get here. So are you Betty or Veronica?